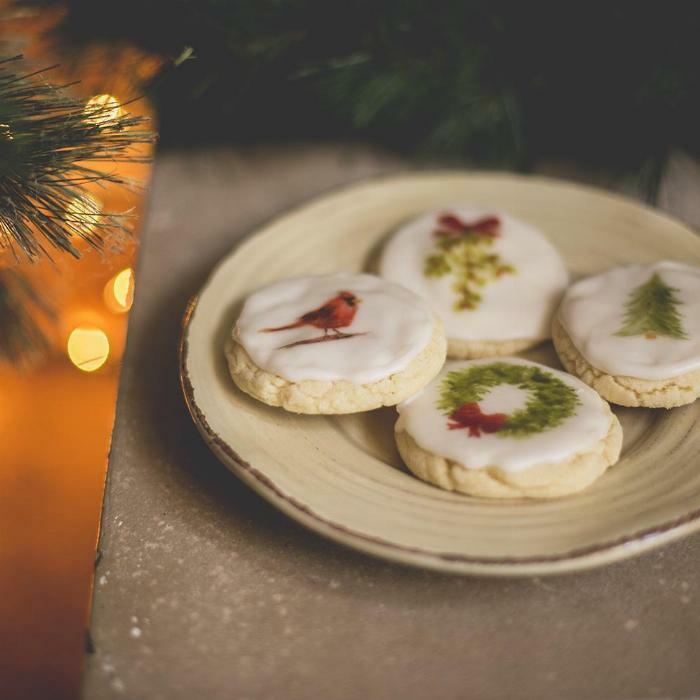 Do you have to avoid eggs and dairy, whether due to a food allergy diagnosis or vegan lifestyle, and wish you could have a super soft sugar cookie again? We tested so many ingredients and techniques and put together the PERFECT recipe. 1Preheat oven to 360° and line baking sheets with parchment paper or Silpat mat. 2Add butter to stand mixer fitted with paddle attachment. Whip until smooth, usually about 30 seconds. 3Turn mixer to low and add powdered sugar. Once incorporated, switch to medium speed for 4 minutes. The mixture should be pretty silky and light. 4Turn mixer to low and add milk, apple cider vinegar and vanilla extract. Mix until combined. 5In a separate large mixing bowl, sift flour, baking powder, and baking soda (throw out any baking powder or soda chunks left in the sifter, don't try to mix them in, yuck). Whisk together with salt. 6Turn mixer to low and slowly add dry ingredients. Stop to scrape down the sides and mix for about 30 seconds. 7Scoop and gently roll 1 inch balls in your hand. Mixture should feel light and pillowy. Be as delicate as you can to preserve all of the air you have worked into the batter. You should be able to fit all 12 onto a single baking sheet without them running into each other when baking. 8Bake in the oven for 8-10 minutes. DO NOT OVERBAKE. The cookies WILL NOT LOOK DONE when it's time to take them out. They will look slightly underbaked. When the timer goes off, remove the pan from the oven, set it on a heat-resistant surface, and check the bottom of a cookie with a spatula. If they are the same color on the bottom as they are on the top, then put them back in and set the timer for one minute. If they are just starting to turn a slightly tan color on the bottom, that's perfect. Time to leave them out. If they are browning on the edges, you have left them in too long. 9Once out of the oven, allow to sit on the pan to finish baking. If you prefer a softer cookie (like me), transfer to a wire cooling rack or plate within one minute of removing from the oven. 10Allow to cool for about 10 minutes, and then seal in an airtight container to preserve freshness. 11Start prepping your icing. In order to have a nice surface for painting, you want to use royal icing...it's an icing that you pipe or pour on to "flood" the top of the cookie and as you go back over and fill in gaps in the icing, it should "heal" itself by merging with the surrounding icing...making a nice flat canvas for you to paint on. Getting the right consistency of your icing is important for it to work well and not drip down the sides (which I've done many times and if it happens to you, just go with it, they still taste good :)). 12Mix together sugar, corn syrup, and vanilla in bowl. It will be a sticky mess that doesn't mix well. Add milk a tsp at a time so you don't add too much. You want to add milk until you get a stirrable, smooth, STICKY icing...you don't want a stirrable, smooth, RUNNY icing. When stirring, it should tire your arm...it should provide resistance to being stirred. If it's just easy and slippery and dripping from your spoon when you lift it, it's too runny and won't stick to your cookie (I'm so sorry I didn't get a photo of this...next time I make these I will get detail photos of icing consistency do's and don'ts). 13You can pipe your icing on quickly like I did (I keep a reusable piping bag with nozzles in my decorating drawer) or you can try to apply it with a spoon or knife (messier and may take longer but doable if you don't have a piping bag). When you are done, allow to dry for a few hours or even better, overnight. Make sure to cover them with plastic wrap after the icing has set for a bit or seal them into an airtight container. 14When the icing has set and you are ready to get painting, get some tiny tapered brushes (preferably ones you haven't used with toxic materials before like paint or crafting supplies), some bowls (or little specialty cups like these), some gel food coloring (food allergy familys, Americolor is a brand that is safe for allergens), clear vanilla extract, and a bowl of water for rinsing your brush. 15In your bowls or craft cups, add a drop or two of gel coloring, followed by a tiny splash of vanilla. Find your least favorite cookie in the bunch and use it as a test cookie to get a feel for your favorite "paint consistency". It's really fun to have a variety of brushes, as well as toothpicks (when you need to do some really fine details like the feathering of the cardinal below). Don't hesitate to mix colors and play around! I did a wreath and tree with the plain green at first, and they were fine, but then I started toying with adding brown to the primary colors to get a more natural look and it was a gamechanger. And don't forget, painting "watercolor-style" like this often mean building layers of detail one-by-one, letting a layer dry before adding a few more details on top. 16Let them dry and then get them back into a cookie tin to preserve as much softness as you can. The extra vanilla flavor in the icing AND the painting really send this cookie off that rails. And people will be so impressed with your beautiful cookies!